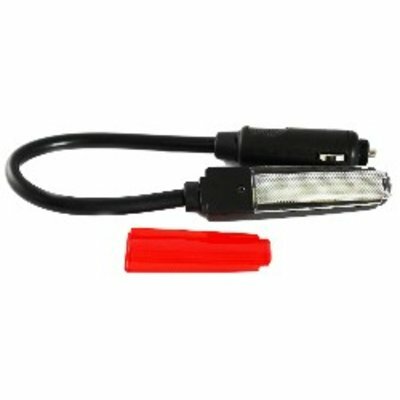 Handige RAM Mount flexible ledlampje met aan/uit schakelaar en apart rood afdekglaasje. With a goose neck for adjustment and a soft light that is perfect to read or write by, the RAM 12 Volt Red and White Light Adaptor is a great addition to any mobile office. Compact and light weight, storing this helpful product when not in use is quick and easy. Plug it into your RAM 12 Volt Receptacle or any 12 Volt receiver in your vehicle to comfortably and discretely view your work under low lighting conditions.